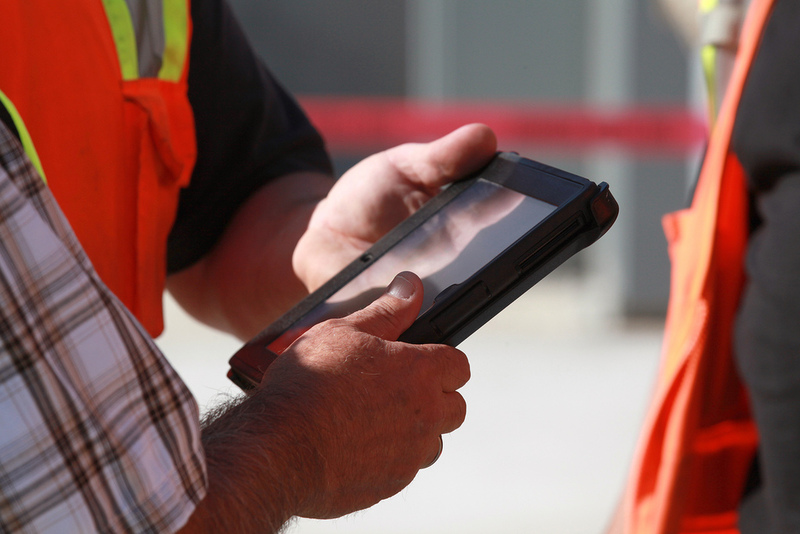 Mobile apps on jobsites are all the rage in the construction industry. Tablets and smartphones are rapidly replacing clipboards to become the device of choice. There is a good reason why this is happening, but before you jump to rolling out a mobile app for your company, you should carefully think about what you are trying to achieve. Taking a few hours to outline a plan will help make the implementation of your new construction app a success. If this is the first construction app being introduced into your company, expect to receive some resistance. Having a clear plan will help ​‘recruit’ people by demonstrating the purpose of the app, what problems it will solve, and how it will benefit your company in the long run. Innovating your workplace with new technology is cool, but it’s important not to get caught up in technology for its own sake. At the end of the day, the success of your construction app will depend on how closely it meets business objectives. You should critically think about these goals, and it’s ok if you don’t know the answers right away. Come back to it with a fresh mind and give it another try. Why is mobile the right solution? Who will use the app, and how will they benefit from it? Introduce mobile construction apps where it will improve existing business processes or enable new ones. The more closely coupled your app is to the business, the better its reception will be. This will lead to shorted adoption cycles, better testing and a superior product. When are your intended users at a disadvantage by being disconnected from systems and each other? Where else can mobile apps help your organization after the first application is successful? Corporate data has usually resided exclusively behind the firewall, but VPNs have allowed access to this information in the past. Now more companies are slowly warming up to remotely hosted applications and Software as a Service (SaaS). They too were initially viewed with skepticism because they were new and unfamiliar. When planning your new mobile app, you should proactively engage with your IT team, to make the approval go smoothly. Understand what your company’s security policies are, what are the approval channels and normal approval cycle times. You must know what configuration settings have been approved on mobile devices and servers. Armed with answers, you will find IT will become advocates for your app. What security threats, real or perceived, does the application pose? What other mobile applications are used today and how have they affected security? How can the IT team be proactively engaged in the project? When implementing new software it is really easy to get excited and get lost in adding lots of features that you think are ​‘critical’. Try not to overwhelm your intended users with loads of features. Start with a set of minimal, must-haves features. Develop a plan to introduce more features once users become familiar with the app and you have received their feedback. Simplicity is critical. Understand what information and tools a worker in the field will require. The complexity of typical apps designed for large screens is not suitable for tablet or smartphones. Keeping the app simple will reduce clutter and help improve adoption. When deciding what features you need, look back at your initial plan. Does the feature directly help solve the main problems? Does it help accomplish the main goal?. These are the features you can’t live without. Nice to have features will be introduced at a later time! What is are the features you can’t live without? How will you gather feedback and prioritize the order new features are deployed? Your users’ attitudes toward mobile applications will improve over time, but expect some people to resist change. The hope is that your applications will convince them by demonstrating how productive users are and how these new behaviors will give users the freedom to react immediately. The innovation technology adoption lifecycle follows a curve. It is important to recognize this and have an idea who in your company will be onboard at the different stages. You may need to start off with a small prototype/proof-of-concept and enroll the first people, your early adopters. Identify the people within your office who are very open to new ideas and technologies. These will be the people that will help get your project off the ground. Once you have some support, find people who will be your power users. Find ways to get them involved early in the project. Once you have your power users on board, it will be just be a matter of time until the rest of the pack sees the benefits of the app and commits to the success of the project. Lastly there are the laggards, which are the people that make slow progress and will join last. An important part of getting your app to adopt well into your company, is finding ways to mitigate the laggards impact during the initial stages. Who will be your power users? How can you involve them early in the project? Who will be your laggards? How can you mitigate their impact? How can you get everyone involved as quickly as possible? By planning for business objectives, understanding the obstacles you will encounter and keeping your app simple, you will have greatly increased your chances of successfully introducing your own mobile app to your construction company. Let me know below what other tips would be important to share!